Rich culture. Totally experiential. Commerce that never stands still. And an appreciation for the hard work of honing a craft, then kicking back at the end of the day. 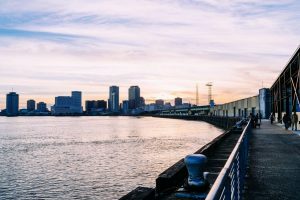 New Orleans and the cannabis industry are a natural fit, which is why MJBizDaily chose the Crescent City as the home of the future-focused MJBizConNEXT, the reinvention of the spring show. In such a fast-paced industry, MJBizConNEXT brings together the thousands of industry innovators disrupting the cannabis space and 275+ exhibitors who are paving the way. This is where experts meet to discuss shared challenges and plan for the future of retail tech, sustainability and cultivation. This May, the backdrop to the business deals, technology and expertise is a true gem of a city. 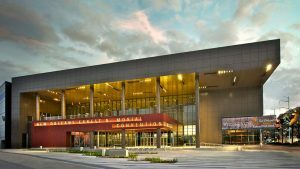 We’re excited that the Ernst N. Morial Convention Center is the home of MJBizConNEXT for years to come. 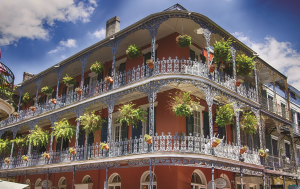 Take a stroll through time in the famous French Quarter, and check out the shops, markets, art galleries and even haunted houses against a backdrop of the historic architecture. 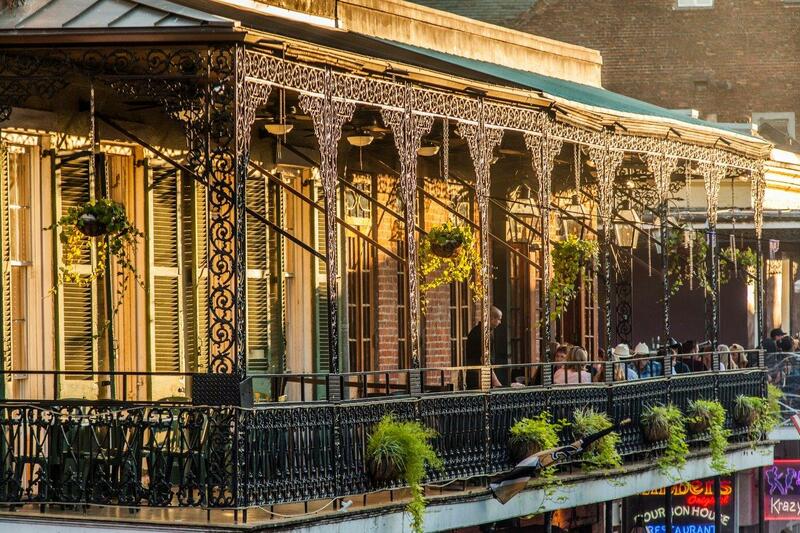 Walk along the river through Crescent Park, or meander through courtyards and galleries on Royal Street. Head Uptown and roam through endless boutiques and contemporary art galleries on Magazine Street. 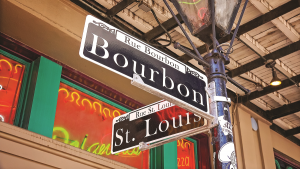 If you only have time to explore at night, for many New Orleans visitors noisy, nocturnal Bourbon Street embodies the life of a party town. 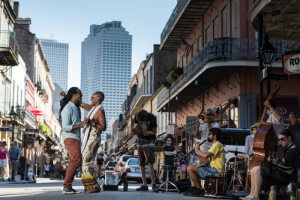 Great jazz can be heard all over this town – in the French Quarter, the Marigny, the Treme, uptown on Oak Street and on St. Claude Avenue. 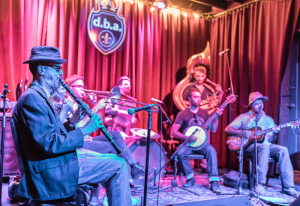 From traditional jazz to acid jazz, zydeco, blues and more, there’s something for every ear, every day of the week. Find a jazz club or music venue. 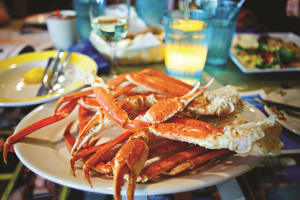 It’s all about the seafood but with a seasoning unique to NOLA. 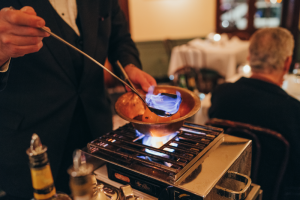 At its heart is a mix of French and West African tastes that grew into Creole and Cajun, blending with rich family tradition and constantly absorbing new delights to become the flavor of New Orleans today. Ready to fill up your plate? 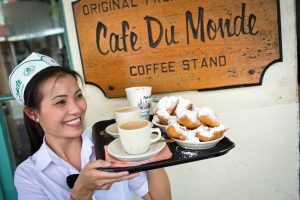 Start your day at the world-famous Cafe du Monde for chicory coffee and a paper bag full of beignets and powdered sugar. Make a mental note that Café du Monde offers this jump-start 24 hours a day. For a leisurely meal, sit down over a deep bowl filled with your choice of jambalaya, seafood gumbo, or crawfish etouffee (Remember, it’s pronounced “eh-too-fey”). If sandwiches are more your style, New Orleans is home to two giants in the sandwich world. 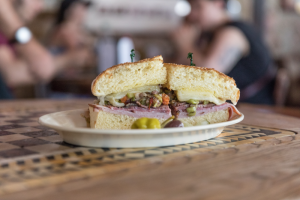 For an Italian influence, order a muffuletta, stacked sky high with cured meats, cheeses and Sicilian olive salad. For another taste of the sea, grab a po’ boy stuffed with fried shrimp or oysters on flaky French bread “dressed” with all the fixin’s. 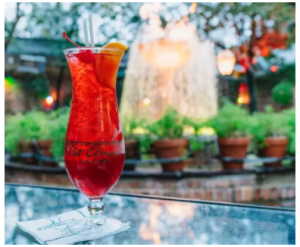 New Orleans is the birthplace of the cocktail, the go-cup, the drive-thru daiquiri shop, the hurricane, the grasshopper, the Sazerac – and more. 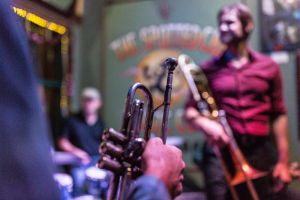 There are more bars per capita in New Orleans than any other major city, so you can find whatever ambiance you can dream of. Microbreweries, wine bars, dive bars and sleek cocktail lounges are all at your fingertips. Or, skip the bar altogether and stroll down Bourbon Street with a go-cup filled with a hurricane. This is a city that lives in the moment. For an industry that’s constantly changing, what place could be better for the cannabis industry to look to the future?